Making a comeback to normal life can feel overwhelming when you are the victim of a traffic collision. The physical trauma, emotional turmoil, and confusing legal process may seem like a hopeless endeavor to dig yourself out of. However, an experienced attorney can help lighten your load significantly and ensure that you are fairly and adequately compensated for your damages in the process. Call us today to inquire about scheduling a free consultation with one of our experienced Charlotte car accident attorneys today. If you have been injured in a Charlotte car accident, you deserve compensation for your injuries. Reach out to Brown Moore & Associates today! A very large percent of traffic collisions are caused by distracted drivers. Some of the most common forms of distraction include texting, talking on the phone, eating or drinking, reaching for something, attending to children, talking to a passenger, staring out the side window, or just plain daydreaming. People often forget that when they are behind the wheel of a car, they are not sitting down in their living room, they are going, potentially, 70 miles per hour mere feet away from other steel boxes that each weigh two-tons. Drivers must remain vigilant at all times, or suffer the consequences of injuring or killing another and being held responsible. Road rage can take over even the most docile of people if they have been sitting in traffic long enough. However, under no circumstances is aggressive driving acceptable, such as swerving in and out of lanes, speeding, or using a vehicle to intimidate others. Aggressive driving is just one form of reckless driving, which is defined as driving a vehicle “without due caution and circumspection and at a speed or in a manner so as to endanger or be likely to endanger any person or property,” as per North Carolina General Statute 20-140. Many serious crashes are caused by aggressive and reckless drivers, the damages of which are often exceedingly great. According to the National Highway Traffic Safety Administration (NHTSA), in just one year, alcohol-impaired traffic fatalities in North Carolina rose by more than 13 percent (to 30 percent in total), putting the rate of alcohol-caused fatalities in North Carolina above the national average. Driving after drinking is never an intelligent thing to do, and to do so with a blood alcohol content of 0.08 percent or more is illegal in North Carolina. Drunk drivers have a decreased ability to react, make decisions, and even steer in a straight line. If you were injured by a drunk driver, you need to take action now. That you do not accidentally admit fault. The other party’s insurance company may lure an accidental “confession” out of you by asking tricky questions. This is done to place liability on you (on your insurance company) or to establish partial liability so they can avoid any payment under North Carolina’s contributory negligence doctrine. We work to prove liability through careful legal work, crash scene investigation, eyewitness testimony, and expert witnesses. The cause of the crash may seem clear cut to you since you were there to see it, but things can get turned around very easily in court or leading up to a lawsuit. The other party may even lie about what happened in an attempt to pass off the blame. We want to help you receive fair compensation for you injuries. While a broken bone is obvious to diagnose, other soft tissue injuries may not show up until later. Or, your mild traumatic brain injury may be much more serious than initially expected. Some injuries manifest themselves later, or fail to heal for months or even years. It is important to maximize your compensation so that you are not left with a permanent disability that was never fairly accounted for. The average inpatient cost for one day in a non-profit North Carolina hospital is just under $1,900, according to Hospital CFO Report. However, this does not take into account the true cost of your injuries, as surgeries, a night in the Intensive Care Unit, and other procedures can all quickly add up to tens of thousands or even hundreds of thousands of dollars in no time at all. Add in the cost of recovering in the weeks and months afterwards, with more procedures, doctor visits, prescription medication, and lost time at work, and one car crash can financially cripple even a well-off Charlotte family. 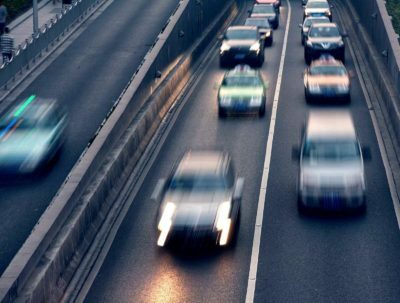 If you were injured in any type of traffic collision, we invite you to call out Charlotte law office to speak with one of our Brown Moore & Associates, PLLC personal injury representatives. Give us a call today talk to one of our experienced Charlotte car accident lawyers about a free initial consultation.